MET Mass Media Alumni Mr. Mayur Sakhre is a well renowned singer in Bollywood today. 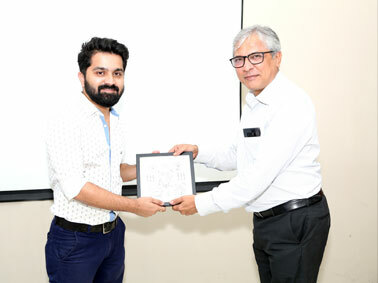 He was at MET Institute of Mass Media on 14th August 2018 to speak to the student of PG in Mass Media on, ‘Role of Music in Bollywood’. He introduced PG students to the concept of musical genres in Films and how they have changed the very treatment of music in the industry. 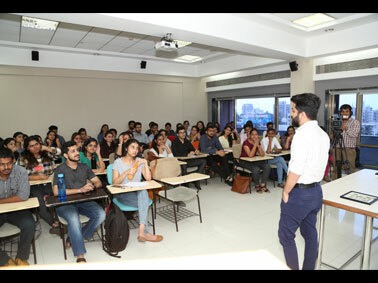 Voice culture became a prominent theme in the lecture, with Mr. Mayur Sakhre focusing on its benefits. He then conducted an impromptu jam and the students had a merry time singing along with an accomplished singer like him.